Chitho Feliciano was awarded the Da Silva Prize Prize for Best Oral Presentation at the Interdisciplinary Workshop on Science and Patents during the Tsukuba Global Science Week that was recently held in Tsukuba, Japan. Feliciano is a doctoral student in Biomaterials Science at the University of Tsukuba in Japan. 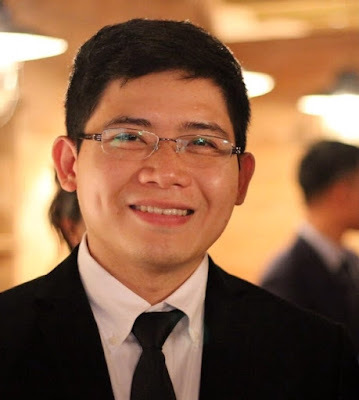 The senior science specialist from The Department of Science and Technology – Philippine Nuclear Research Institute (DOST-PNRI) who is currently undertaking a doctoral course in the University of Tsukuba added the prestigious award to other recognitions given. The awards for his research on nanoparticles made significant contributions in enhancing current chemotherapy procedures. Chemotherapy protocols usually is a shotgun approach in treating various diseases such as cancer and tuberculosis. This therapy targets the diseased cells but also causes damage to healthy cells in the process. Feliciano’s research uses nanoparticles so as chemotherapy will target the specific malignant cells but avoids the healthier cells. In particular, the research uses nanoparticles in improving the effect of nitroxide radicals in therapy. This has benefits in reducing the effects of skin aging, inflammatory disorders in the skin that can be caused by ultraviolet rays and other forms of radiation. This has important impact on skin cancer treatment and other therapeutic protocols that require the use of medicines in combinations to effect treatment of other diseases. Skin cancer is one of the prevalent forms of cancer and exposure to direct sunlight that has ultraviolet rays is one of its causes. Exposure to the sun’s radiation mutates the skin cells that develop into skin cancer. This results in lesions that require chemotherapy protocols in its treatment. Exposure to direct sunlight is not only for those who get exposed for recreational purposes but also for those whose work and professions require that they be outdoors. Feliciano also garnered two Best Poster Presentation awards at the 6th Chemistry Society of Japan Festa in Tokyo and in Sapporo at the Asian Conference on Nano-Science and Nonotechnology. Feliciano is a doctoral student in Biomaterials Science at the University of Tsukuba in Japan.